The Hepworth art museum sits within the town of Wakefield in West Yorkshire; a replescent, purple-pigmented concrete (and RIBA Stirling Prize-nominated) building sitting majestically on the River Calder. It mirrors, in a way, the sole heron I see standing on the riverbank, spotted from one of the large gallery windows. I’m here for The Hepworth Prize for Sculpture, visiting work by four nominees which contain both introspective and retrospection. The Hepworth Prize for Sculpture is a new prize: created this year to celebrate the building’s fifth anniversary, and named (of course) after Barbara Hepworth (1903-1975): one of Britain’s greatest sculptors. Those on its inaugural shortlist are fairly well-known: 72-year old Phyllida Barlow CBE, whose huge-scale installations have been shown at Tate and Hauser & Wirth, and who will represent Britain at next year’s Venice Biennale; 30-year old Helen Marten, who is also one of four nominees for this year’s Turner Prize due to her intricate installations; 74-year David Medella, whose kinetic sculptures earned him the moniker “The first master of auto-creative art” in the 1960s; and, finally, 47-year old Steven Claydon, who is also a musician, and has shown his crisp, graphic assemblages at Frieze and Art Basel. The winner receives £30,000, and will be announced in November 2016. Arguably, the way we see sculpture has changed since Hepworth’s time; although she no doubt set a precedent for others to follow. Simon Wallis, Hepworth Director and chair on the selection panel, sees the introduction of the art prize as timely. The UK, he stated, “excels in sculpture”. 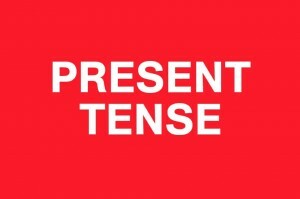 The six judges – comprised of international art critics, gallery directors, established curators and collectors — have used the term sculpture in the “broadest definition”, and will be taking into consideration the artists’ “significant contribution”, both nationally and internationally. There is no natural crossover between the artists’ backgrounds; other than all have exhibited widely, and three of them are from England — Barlow is originally from Newcastle, Marten from Macclesfield and Claydon from London, while Medella is from Manila in the Philippines. One thing they do have in common, unsurprisingly, is that materials are vital to the outcome of each of their works. Marten, the youngest, works with fabrics, coffee beans, cotton buds, DIY materials, household items and other random, found objects too many to mention. They are woven together via ideas and writing, formed from hundreds of notebooks (scribbled in and collected through “hibernation periods”), and composed into nonsensical mini-sculptures, that may either fascinate or confuse. She asks us to become “archaeologists of our own times”; the visitor finds herself visually searching the collections for meaning. Claydon, too, uses objects — or “vessels” as he calls them — that over time have been cast aside, and experiments with industrial materials such as steel sheets, foam and resin. Microphones and radio mast sculptures are references to mobile phones; technology providing an interface for the projection of sound exchanges through the materials. 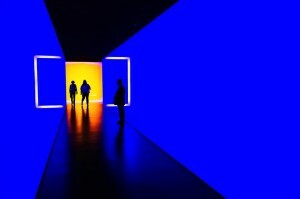 This evokes a new dialogue with each element in the installation, that “refute and entertain each other”; not unlike the blue neon lights that reflect a surveillance-like shadow over each of his primitive wood carvings. I find that the delicate, amber-colored Neolithic skulls add a further layer of mystery. 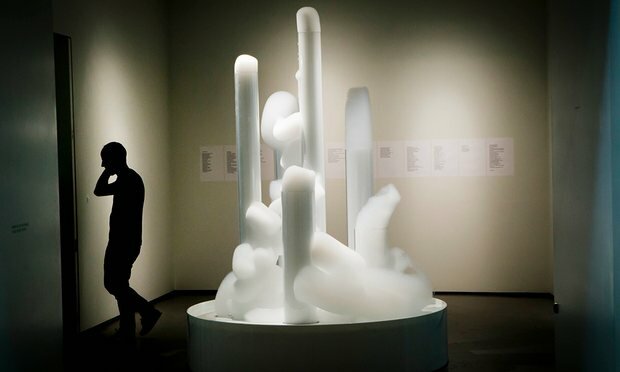 Medella’s kinetic works are often based on energy; such as his bubble machines, or Cloud Canyon series (pictured, below), which was initially conceived in 1963. Made of plastic canons of bubbles, Medella makes his own, complex observations based on froth and liquids; which says, are present both at birth and in death. 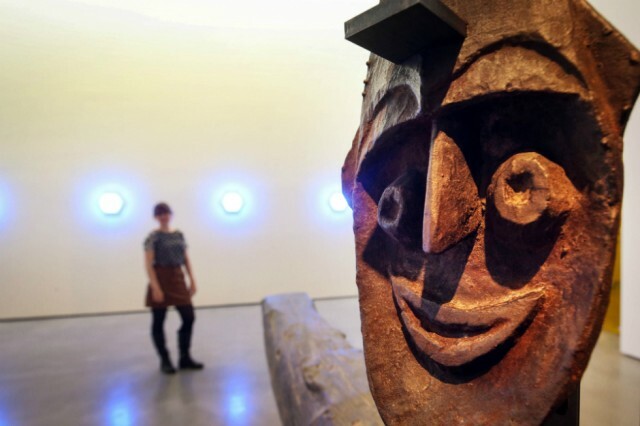 Medella’s transcendental viewpoint and lifestyle is fascinating, as is evident in this Hepworth Prize exhibition; he travels widely, absorbing the environment around him and namechecks relationships formed along the way – including working with iconic Dada artist Man Ray (1890-1976). One cannot ignore the body of his work, and the human warmth it exudes. But it is Barlow that has the wow factor — epic in proportions, and like the aforementioned heron outside the gallery, her work stands in eerie silence. Her installation Scree (pictured, top) is very theatrical, and can be loosely interpreted as a landslide sculpture; painted slates slipping and sliding; a metaphor for erosion and decay. The installation literally works on several levels. I am at once reminded of Hepworth’s Single Form (1938), and its ascending, simple, curved structure. Similarly, Barlow’s monumental, cylindrical, polystyrene forms tower above their foundation. 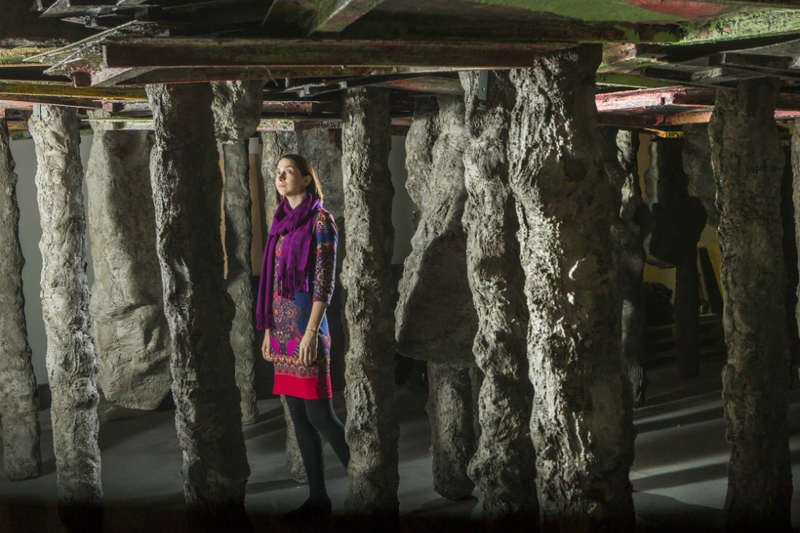 Underneath, the steel and concrete supports reveal, in her own words, “spaces that are usually hidden”. Walking through the bowels of the work at the highest point, one enters a labyrinth of pathways; the vivid colours of the metal plates above, forgotten. So, who will the winner be? Who could possibly choose between four, wildly contrasting nominees? As the prize’s namesake, Hepworth, noted about the sculptural idea, it is: “unfettered and unlimited and can choose its own forms”. With this in mind, my bet is on Barlow; not because she has a CBE, but because her sculpture is unrestrained by size, unfettered by the monumental, and informed by encounters. Barlow’s clash of materials create an altogether different, audience experience. I think Dame Hepworth would have approved.